AirFit F10 series SoftEdge Headgear has slim straps made of premium, rolled-edge fabric so it is comfortable to wear and reduces facial marking. 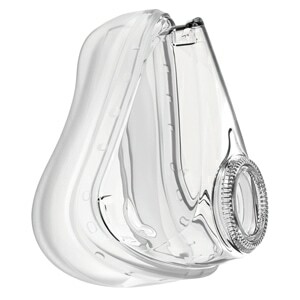 It is designed to be worn more loosely than traditional headgear so the mask cushion can adapt to facial contours and movement through the night without pressure, pinching or creasing. 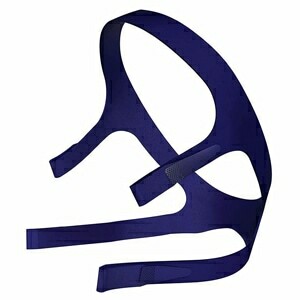 COLOR: AirFit F10 series SoftEdge headgear is available in a gray with blue or pink highlights. SIZING: SoftEdge Headgear with Blue Highlights is available in three sizes: Small, Standard, Large. SoftEdge Headgear with Pink Highlights is available in one size, that is the same size as the Small Blue SoftEdge Headgear, but is labeled Standard. 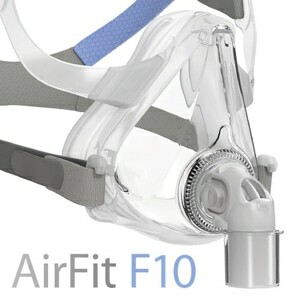 AirFit F10 masks are provided with Standard Blue Headgear. AirFit F10 For Her masks are provided with Standard Pink Headgear. 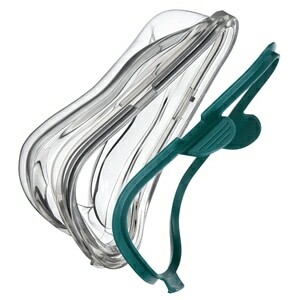 Any size and color headgear can be used with any AirFit F10 or AirFit F10 For Her mask. Bought it for my husband. He is loving it, the fitting is perfect. Would definitely order other parts from here.